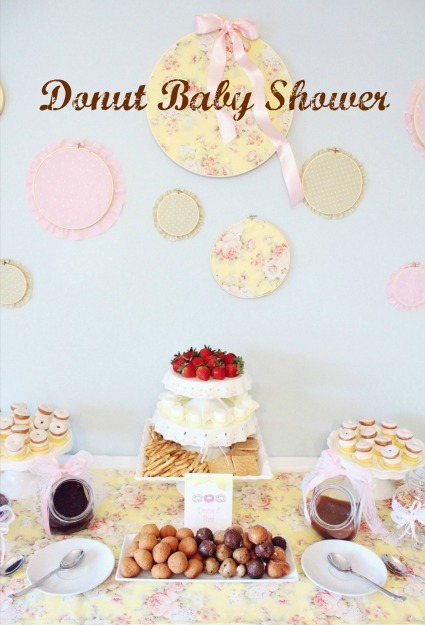 Adorable Donut Baby Shower Theme Ideas - 5 Minute Dout Hole Pops! 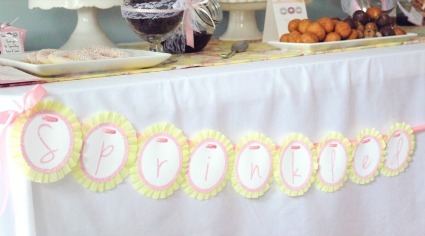 Donut Baby Shower Story: For months I have been admiring the crafty work of Melissa and Kellie at Icing Designs! 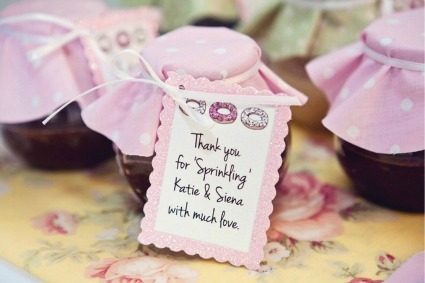 Their style is so whimsical and refreshing - everything is hand drawn and always has a splash of sparkle! 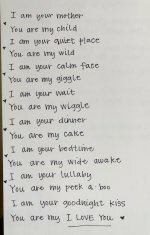 Below is a showcase of their beautiful work as well as other creative doughnut baby shower themed ideas! 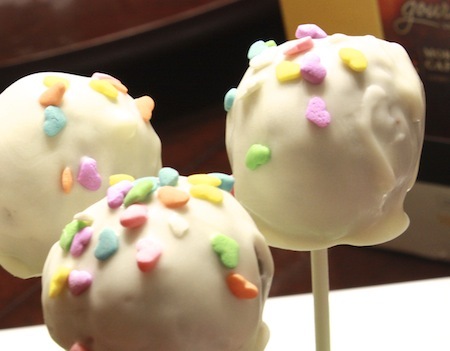 Don't miss our famous 5-minute donut pop recipe! 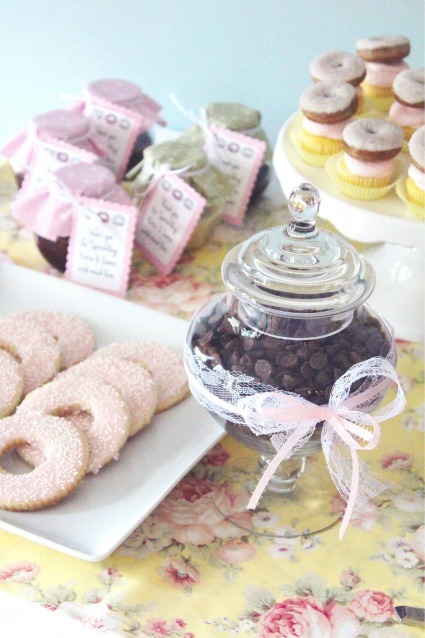 What a cute baby shower favor idea - sweet jelly preserves for each guest to take home. 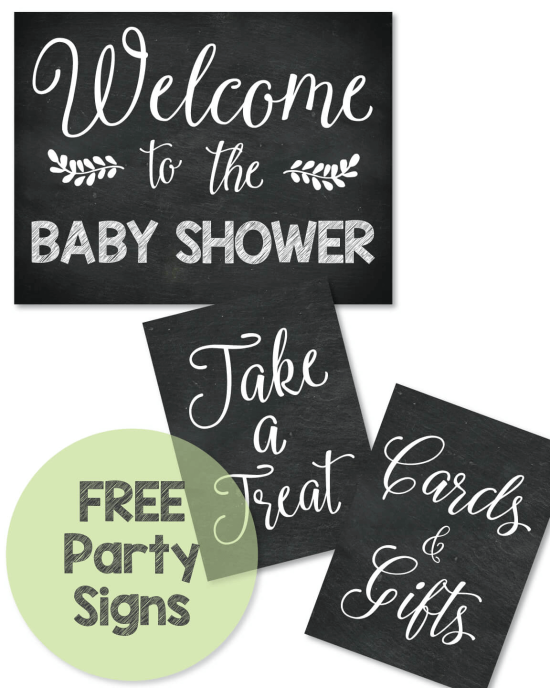 This adorable banner was made by IcingDesigns.com and is sprinkled with festive sparkles! 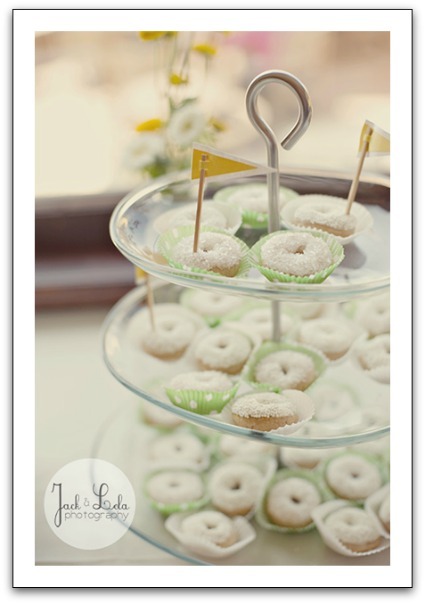 Even doughnut cookies were served! 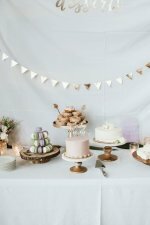 Love this beautiful white dessert stand! 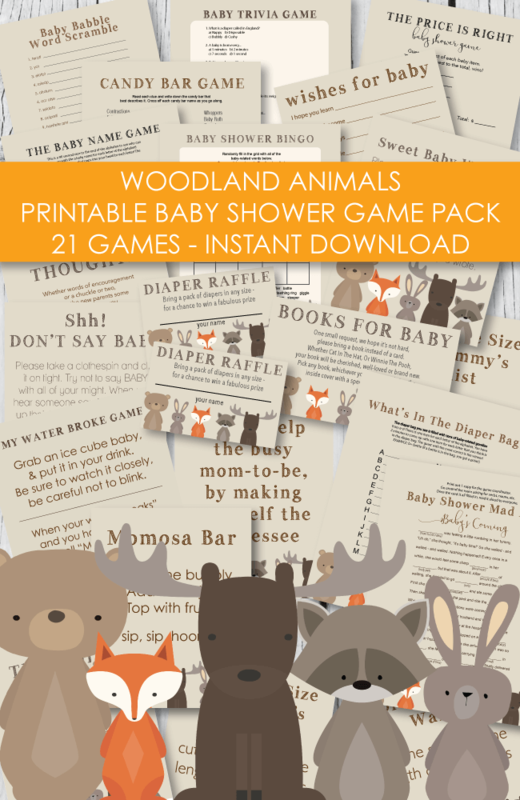 What a precious centerpiece for the baby shower tables! The best of both worlds! 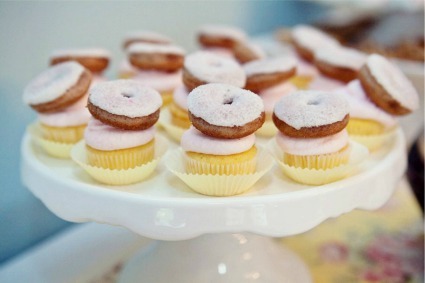 Cupcakes and doughnuts! Now just add ice cream and we'll be all set! 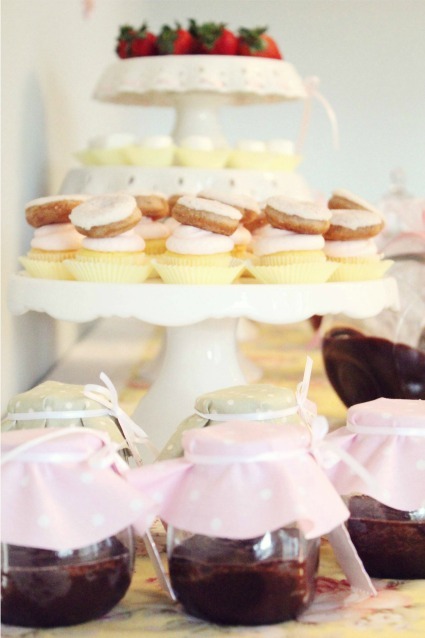 This is definitely the perfect baby shower for an expecting mom with a sweet tooth! Everything was beautifully incorporated into the perfect event! A huge thank you to Icing Designs for letting me share this masterpiece! 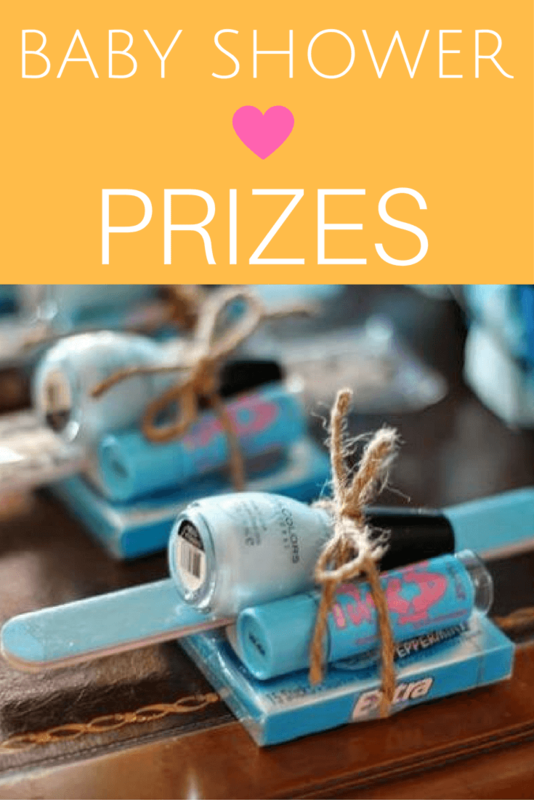 By taking simple ideas and tying them all all together - you can create an amazing party! Easy Decoration Idea: buy some foam rings used to make wreaths (found at any craft store) and wrap several times in strips of felt - securing each one with a hot glue gun. 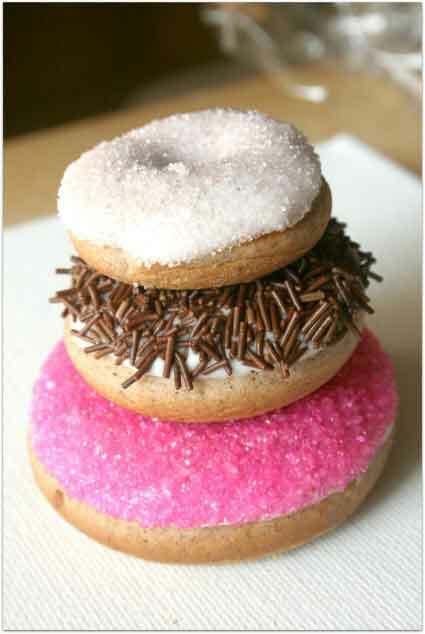 Choose a light brown color to match the color of doughnuts. once the foam ring has gotten pretty thick and resembles a doughnut, cut tiny pieces of colored felt and glue on to look like little sprinkles. 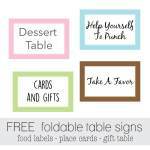 Hang several around the food and cake table. You can buy different sizes of circles for a variety. 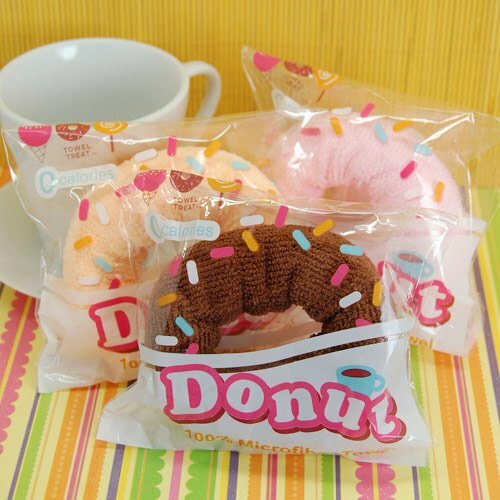 Microfiber towel donuts: What a perfect way to thank all of the baby shower guests for coming! 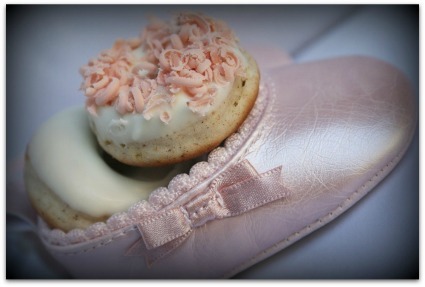 Practical yet cute - and they match the baby shower theme to a T! 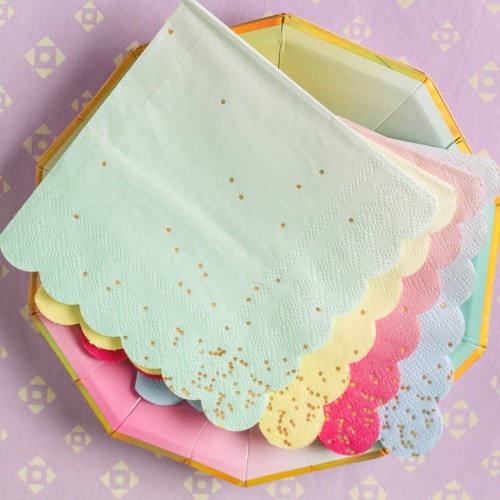 Classy and popular, ombre scalloped napkins with gold dots - so cute and perfect! Matching plates available too! 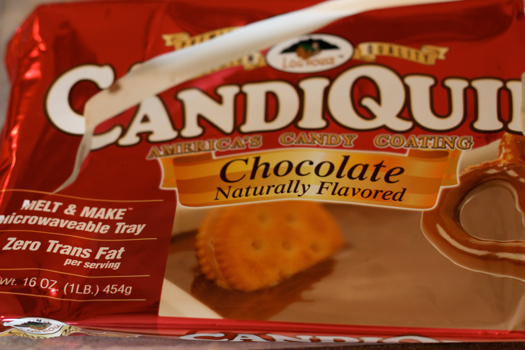 I know what you're thinking ...YUM, right?! 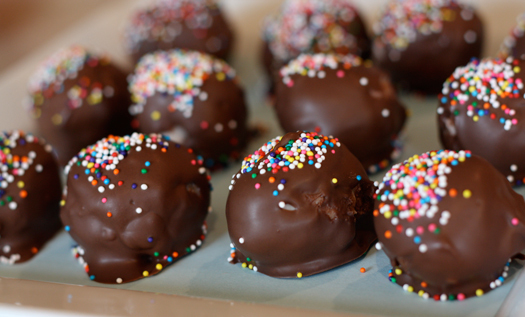 These are pretty much the best things ever... and the easiest to make! 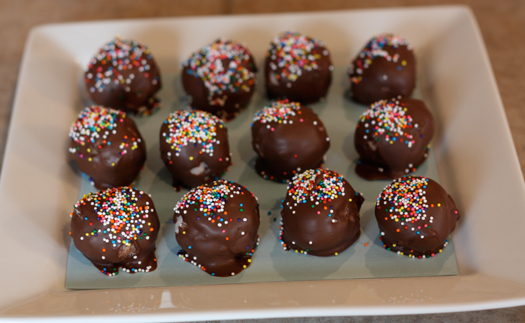 It took me about 5 minutes to make these little balls of perfection! 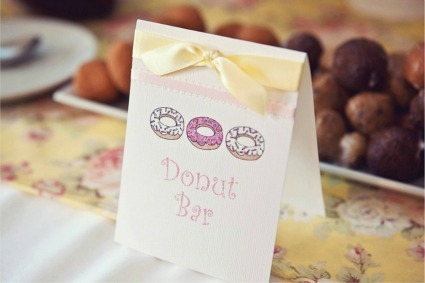 All you need to make these doughnut hole pops is melted white chocolate, donut holes, skewers and cute sprinkles! 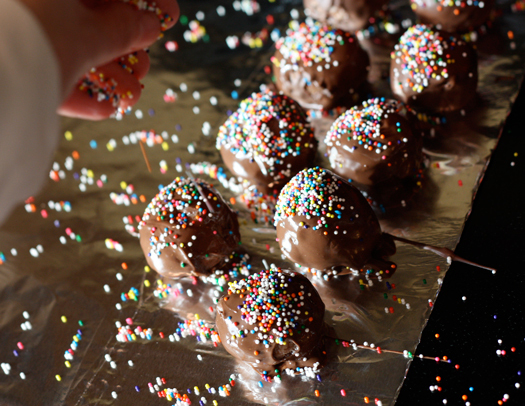 You can also make them dipped in brown chocolate! 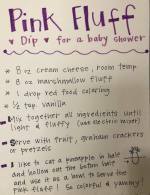 There are only 3 ingredients involved in this fabulous creation! 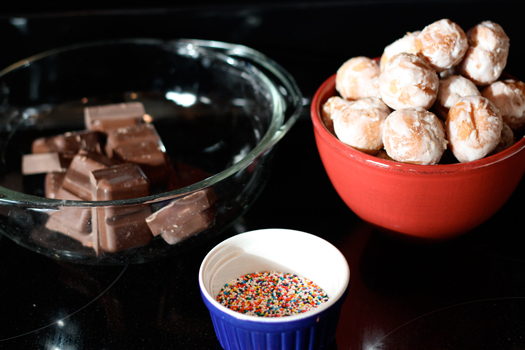 Chocolate, Donut Holes and Sprinkles - simple! 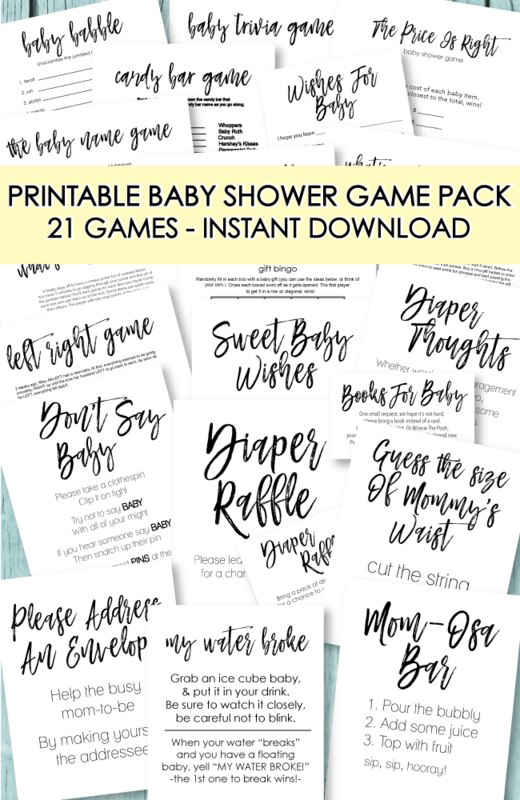 Use any kind of sprinkles that you want - you can even pick ones that match the theme of your shower for extra cuteness! Time to start dipping and rolling! 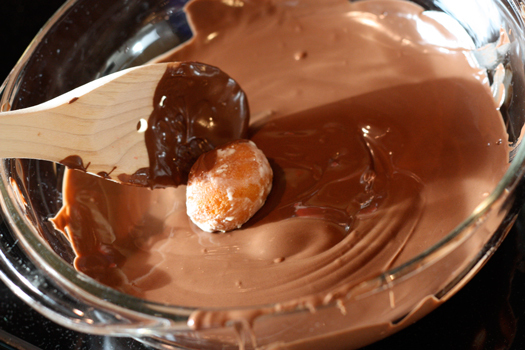 Roll the little donut holes in the chocolate until covered. 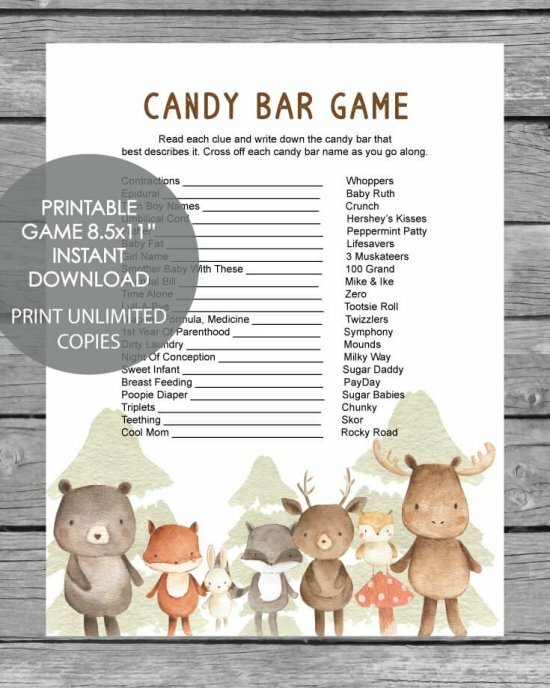 Lay the chocolate bites out on tin foil or waxed paper. 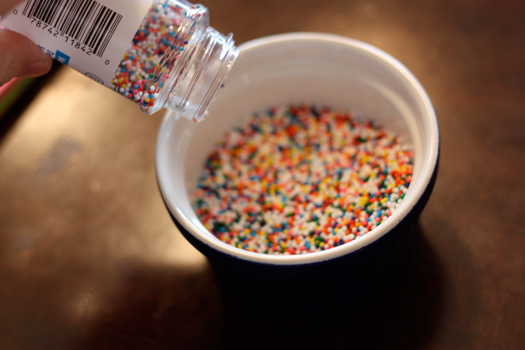 Let the sprinkles start a flyin'! Let dry for about 5 minutes - they don't take long at all to dry. 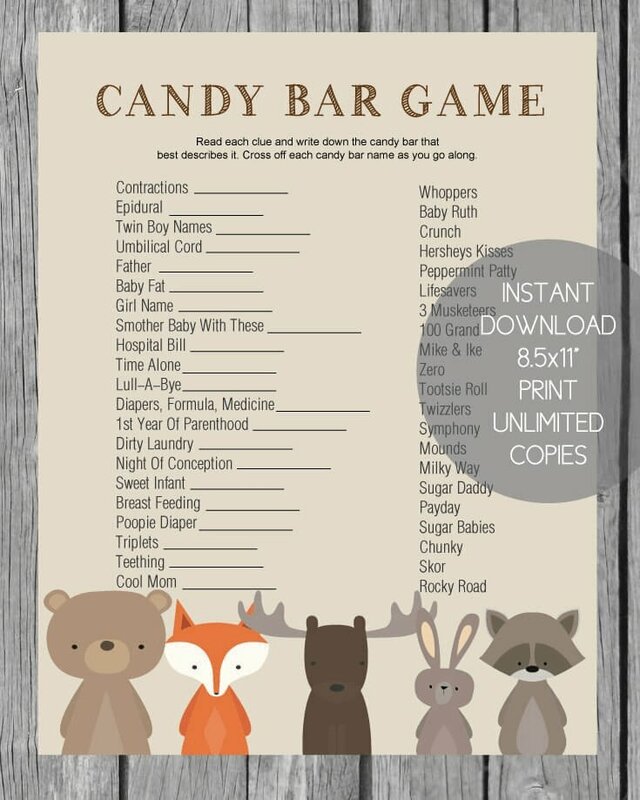 Our friend Diane from www.bryasbaskets.com had such a great idea ..."A cute, fun twist on your chocolate balls would be a jelly filled donut hole and the one who got that would get a prize"